As we all know, latex reclaimed rubber is an ideal raw material for replacing natural rubber in the rubber product industry. It can not only reduce the cost of raw materials, but also ensure the quality of natural rubber products. This is not emphasized again. However, in practical application, although latex regenerated rubber molecules The structure and performance characteristics are close to natural rubber, but there are still some differences. Therefore, there are many problems to be paid attention to when using latex reclaimed rubber instead of natural rubber to produce rubber products, which are mainly reflected in the following six aspects. Latex reclaimed rubber is a waste natural rubber and waste latex product processed through multiple processes such as selection, crushing, vulcanization, disinfection and filtration. Its fluidity and plasticity are better than natural rubber. It does not need to be masticated during use. When it is used together, it can be directly mixed with the natural rubber mastication, which can reduce the production energy consumption and save the production cost. 2. The rubber hydrocarbon content in the rubber product formulation containing latex reclaimed rubber is equivalent to the original rubber. There are many kinds of latex reclaimed rubber on the market. The effective rubber hydrocarbon content in the latex reclaimed rubber produced by different raw materials and different manufacturers is different. It is used to replace the natural rubber to produce rubber products. Equivalent to natural rubber, such as pure latex reclaimed rubber can replace natural rubber in a ratio of 1:1, 80% latex reclaimed rubber replaces natural rubber in a ratio of 1.3:1. When using latex reclaimed rubber instead of natural rubber in multi-cavity rubber products, latex reclaimed rubber has much better fluidity than natural rubber. It simply replaces natural rubber with latex rubber reclaimed rubber with non-rubber content and does not adjust vulcanizing agent in reclaimed rubber. The amount of accelerator will reduce the concentration of vulcanizing agent accelerator, the cross-linking density is insufficient to produce sulfur, which leads to the thinning of the mold cavity, or the phenomenon of sticking roller; therefore, the use of latex reclaimed rubber instead of natural rubber to produce multi-cavity rubber products The amount of vulcanizing agent and accelerator in the formulation should be appropriately increased. 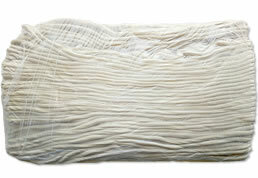 Latex reclaimed rubber will be added with activator, rubber oil and other compounding agents in the production process. The rubber oil is included in the composition. If rubber rubber is produced instead of natural rubber, if the rubber oil is added according to the original formula, the rubber oil in the formula will be used too much. The hardness of the finished product is reduced. Latex reclaimed rubber can replace all natural rubber to produce rubber products, and can also be used together with natural rubber. The application ratio should be determined according to the performance requirements of rubber products. Different types of natural rubber products have different amounts of latex reclaimed rubber. 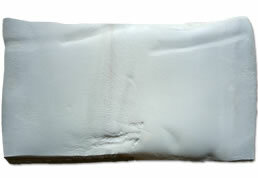 Low-grade rubber products can be recycled by latex. 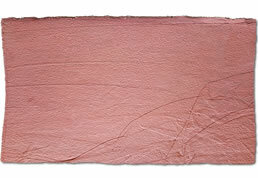 Glue and a large amount of low-cost materials; high-grade rubber products can only be mixed with latex reclaimed rubber. Latex reclaimed rubber can replace various natural rubber products to produce a variety of rubber products. For example, the use of latex reclaimed rubber in the inner tire is to increase the rubber elasticity. It is necessary to select latex reclaimed rubber with high elasticity and high rubber content. The belt is to reduce the cost, and it is necessary to use a suitable kind of reinforcing agent to improve the mechanical strength of the conveyor belt; in short, it must be based on actual conditions.